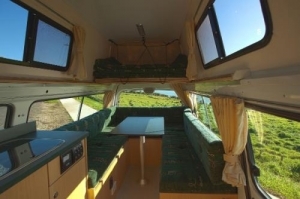 Build in 2010 by our very own team, the Koru 2+1 is ideal for a couple or small family. There are 3 seats in the front without passenger airbag, well suited for travelling with children. 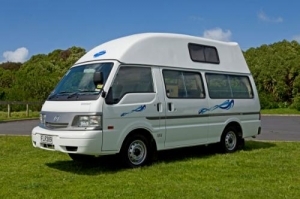 This vehicle provides an economical way of sleeping in comfort and cooking a meal for up to 3 adult persons. Based on the Mazda E2000, this vehicle is reliable and reasonable in terms of fuel consumption. 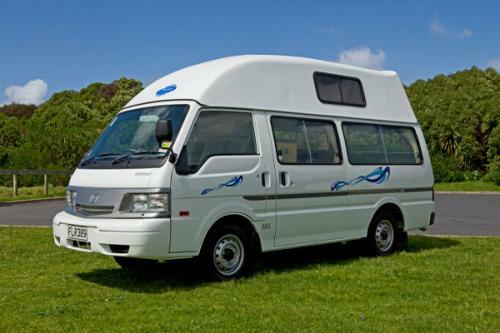 The compact layout features a one way fridge, gas cooking facilities, on board hot and cold running water, an extendable outdoor shower and plenty of storage. The seating and table in the rear convert to a comfortable double bed. 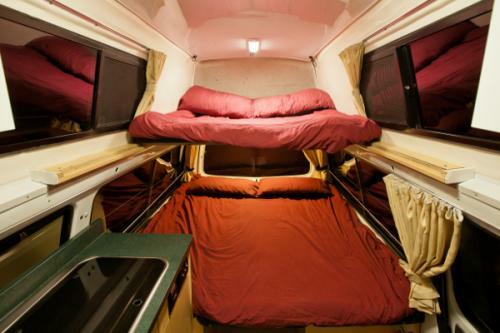 A single bed is located just above the main bed in the rear. The self containment certificate allows you to camp in places off the beaten track. Fuel consumption: 12 litre/100 km approx.